Please enjoy our Navruz Celebration photos! Photos from the Seattle-Tashkent Sister City Association's annual Navruz Celebration held on Saturday, March 26, 2016 at North Seattle College in Seattle, Washington. 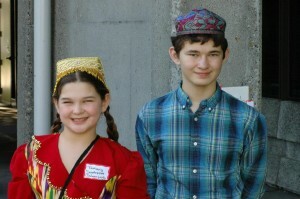 Photos from the Seattle-Tashkent Sister City Association's annual Navruz Celebration held on Saturday, March 21, 2015 at North Seattle College in Seattle, Washington. Additional photos can always be found on our Facebook page.